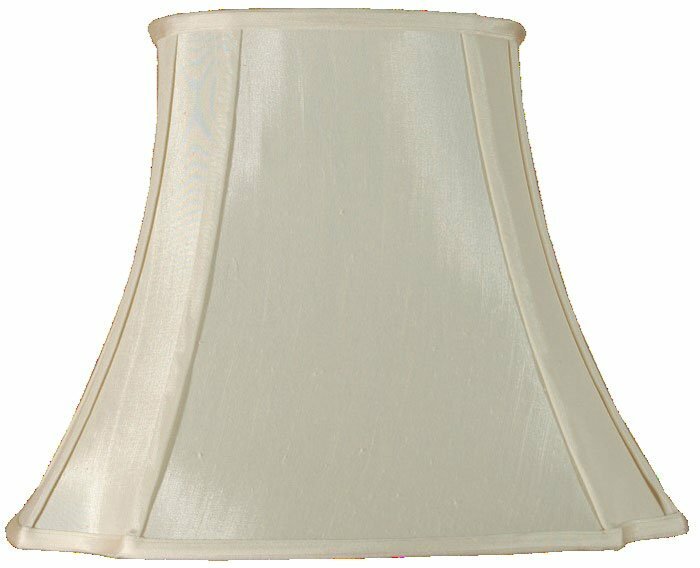 A cream oval cut-corner 20 inch faux silk lamp shade suitable for a standard floor lamp. Part of a matching range of classic lamp shades, with matching edging in a range of sizes from 8 – 22 inches. Suitable for all socket caps, fitted with a duplex ring and requires a shade carrier or gimbal. Fully lined and handmade in cream faux silk fabric with self-coloured trim. The 20 inch shade is the perfect size for use with floor lamp standards. Height 15.5 inches.